Hello, I’m Michelle and I’m so excited to be running award-winning mark making classes in North East Derbyshire! I’m a first time mum to my son, Joshua, and I’m loving my new role. 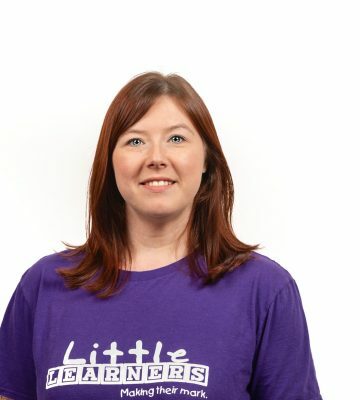 Having previously worked as a maths teacher, an 11+ tutor and, most recently, a public sector accountant, I’m thrilled that Little Learners allows me to combine my love of working with children with my passion for educating and helping develop others. I’m loving having a creative career, and one that my very own little learner can share in! 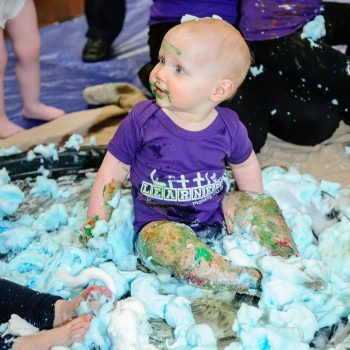 Not only are Little Learners classes amazingly fun, but they are designed to help encourage early writing skills through messy play and mark marking. Each class includes a range of activities, specifically designed to develop your child’s fine and gross motor skills as well as their core strength and co-ordination. Our aim is help every child make their mark. 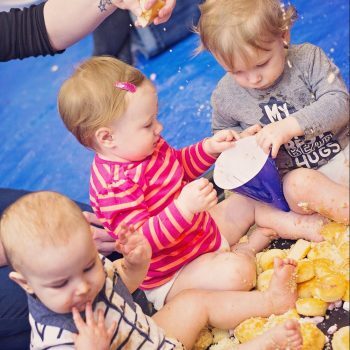 My classes are welcoming, friendly and packed full of messy fun! And, best of all, I do all the cleaning up so you don’t have to! We currently have classes running in Duckmanton and Newbold and will be launching classes in Dronfield in January 2019! I look forward to meeting you and your little ones. Our Little Learners parties are so much fun! We can tailor our parties to your child’s interests or even their favourite TV show or film. 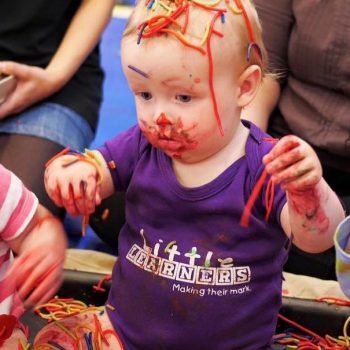 A messy ‘cake smash’ party is really popular and we can also provide other extras such as party invites and party bags. We’ll travel to a venue of your choice, do all the setting up and, best of all, clear up all the mess afterwards! Our party packages start from £80 so why not get in touch today to find out more!